I love to search through antique shops, flea markets, and boxes of books at yard sales. I often find treasured volumes I’ve read in the past and feel as if I’ve reconnected with old friends. 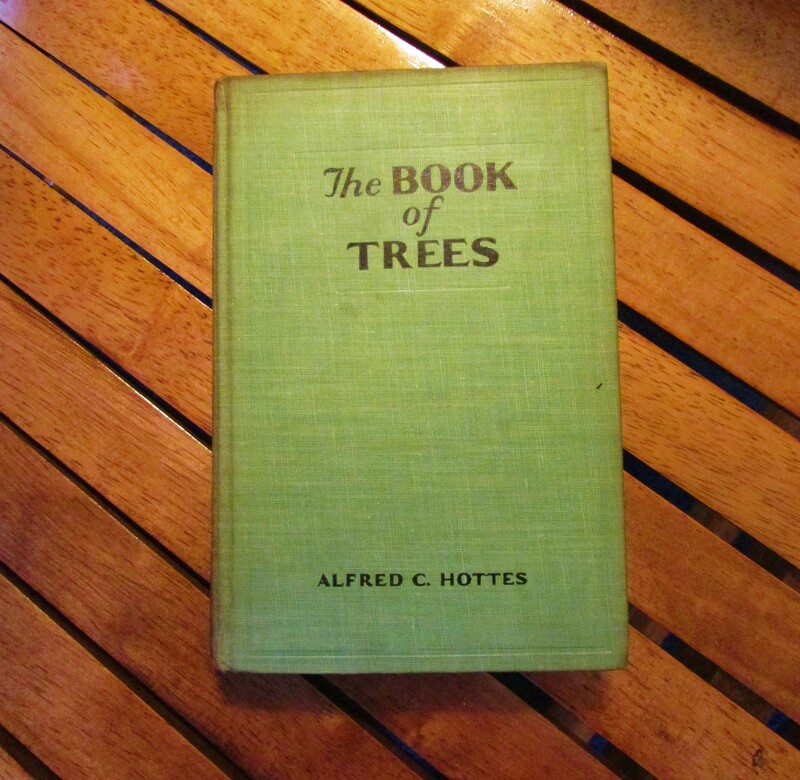 I came upon a pleasant surprise when I opened “The Book of Trees” by Alfred C. Hotte, published in 1932. Within the pages lay a letter and pressed leaves. I wonder as I study the letter, the brittle leaves, who placed them inside and why. Underlining and personal notes written on book pages never fail to make me wonder why the readers were moved enough to comment or underline. It’s funny, I’ve even come upon my own written comments in book margins, long forgotten, but often still applicable to my life now. A week or two ago, I found pressed plants in a book gathering dust on a shelf, several four leaf clovers found in a patch of grass on a long ago day. I didn’t remove them, instead I shut the cover and laid it away once more, to rediscover “good luck’ another day. I would be surprised and thrilled if I found a book with a letter and pressed leaves. In school we were asked to prepare project books with pressed leaves- of different shapes, colours and as we grew, even different venations. What memories this post brought back . Its as if the ghosts of the past readers would come to be with us as we read. Marking books and jotting notes on the sides might be a lost art what with Kindle books. Me too- I don’t have kindle so I need regular books to read. So wonderful! And how sweet you shut your book to enjoy later!! And my hubs and have some fun laughs with what I find In used books I buy – great notes sometimes or once a self improvement list! Also – sometimes I donate my books and I know I leave stuff in the. Or notes and highlighting! I donate too…and yes, I am sure there have been pressed flowers, notes, lists…funny!